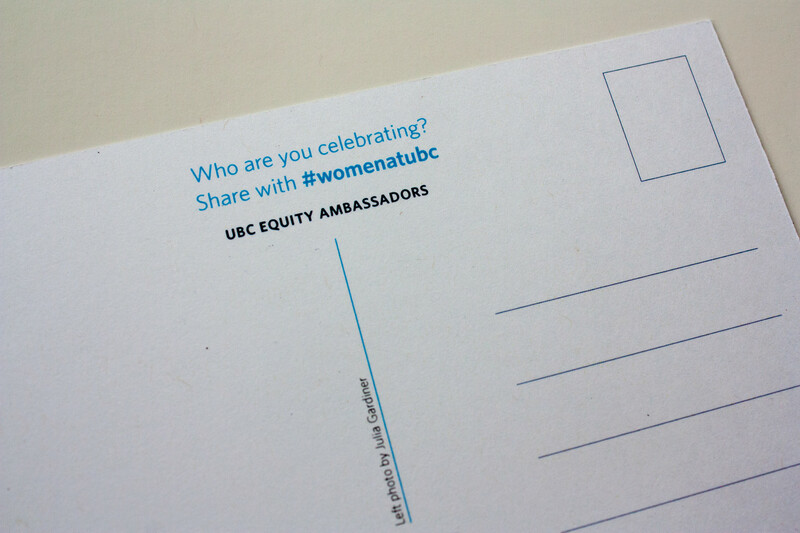 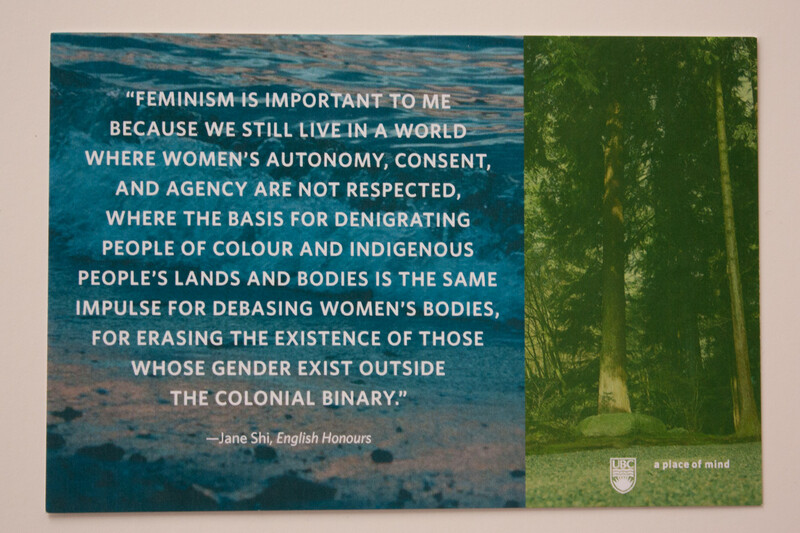 The UBC Equity Ambassadors wanted to create a set of postcards to distribute as part of their International Women's Day campaign. 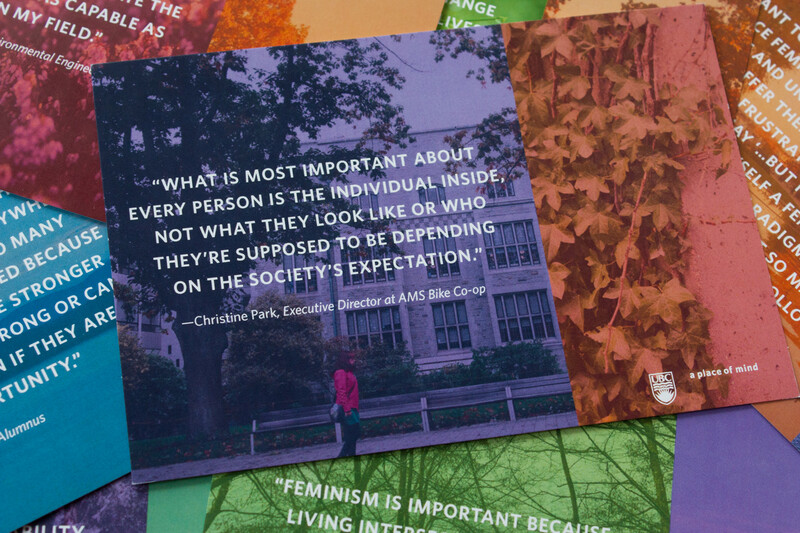 The postcards include quotes by students and professors about what feminism means to them, and they have space on the back for students to write a message to mail to a woman in their life who is important to them. 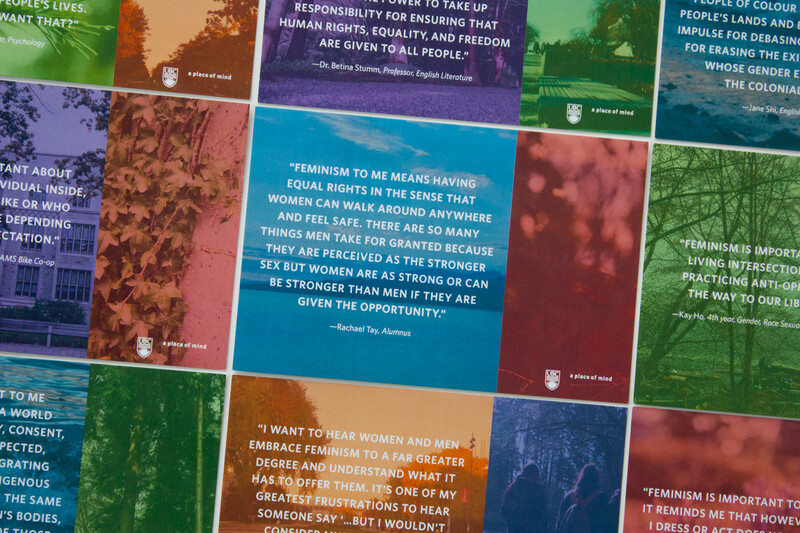 The design I created presents the statements on feminism in strong typography, to give strength and authority to the voices, with photos of campus overlaid with many colours, to show the uniqueness and indivuality of perspectives. 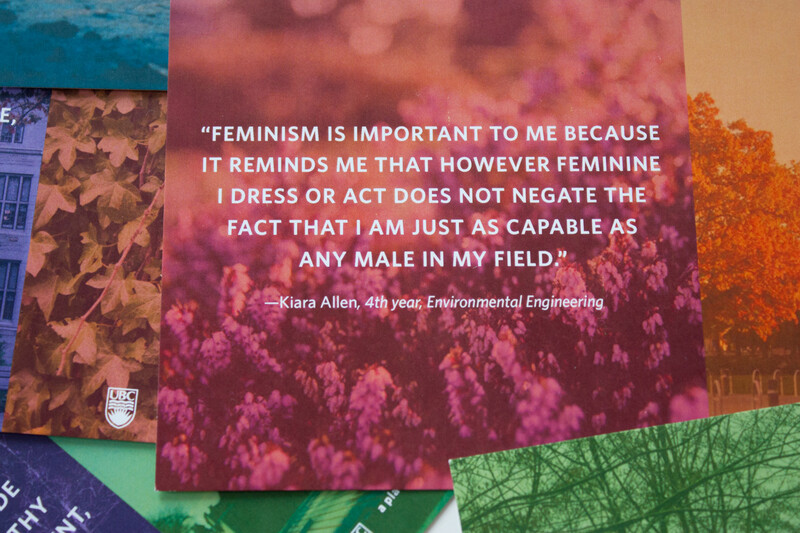 I wanted the postcards to be both beautiful and meaningful, relflecting the love and thoughtfulness with which they would be personalized and mailed.